Your Soul is a divine light originating within the Angelic Orders of Heaven. The Tibetan Book of the Dead speaks about the seven Lokas, or dimensions, the Soul travels through after death, while the Egyptian Book of the Dead refers to the Soul becoming one with the ever-renewing phoenix. Yet what is the phoenix but a symbol of our own Angelic Twin who resides in the highest realms, the essence of our Soul? 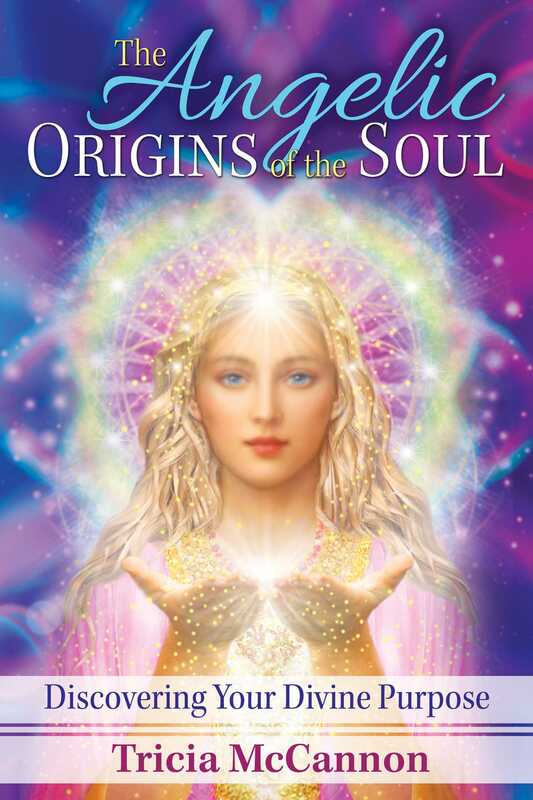 In this book, Tricia McCannon explains how to discover the angelic realms where the highest parts of yourself reside and become the catalyst for your own path of ascension. McCannon shares stories from those who have returned from the Otherside, tales of revelation, temples of learning, and crystal cities of light. Presenting the great Course Curriculum of the Soul, the lessons we must master to complete our missions on Earth, the author shows that by remembering our divine essence we can move beyond conflict and struggle to embrace the love and joy that reside eternally at the core of our being. Our earliest ancestors had an innate understanding of the Universe and the nature of the Soul. As keen observers of the natural world, they marked the waxing and waning cycles of the sun and moon, the yearly rotation of the seasons, and the birth, death, and rebirth of their crops each year. They saw the sun rise at dawn and disappear on the horizon each night, only to be reborn the next day, repeating the sacred Circle of Life. They saw generations of humans and animals living and dying and being reborn, and they realized that all of life is a circle. Today, with the advent of the modern telescope and microscopes, we now know that this great Circle of Life repeats in the rotation of the planets, the whirl of the galaxies, and the spin of electrons around the nucleus of every atom, echoing Creation’s continual renewal. The Ancients also realized that these same universal principles hold true for Souls. Mummified bodies found throughout Europe, Egypt, Peru, and the Americas all attest to a belief in a world beyond our own and the existence of an Afterlife. Buried in caves, pyramids, stone cairns, and earthworks, bodies are found in fetal positions as if curled into the womb, awaiting the joy of rebirth in the celestial realms. Our ancestors embraced the belief in reincarnation, the mechanism through which the Soul leaves this world and then returns to it again, learning its lessons over vast cycles of time. This cycle of living, dying, and being reborn is just as essential to the Soul as sleep is to us each night. Just as we travel into inner worlds to dream, so too does the Soul return to its celestial home at the end of every lifetime to assess its progress and renew its connection with the true Source of who it is. Thus every life is but a day of unfolding in the progress of our Soul 4 evolution. Each of us comes to Earth, faces our challenges, lives out our dreams, and then returns to the heavenly realms from whence we came to integrate what we have learned. Once there, the Soul has access to a far more expanded awareness of who it is and the oneness that connects us all. And as we shall see, there are many levels to these heavenly realms, and we are each drawn toward the vibrational level that is most appropriate to our current level of evolution. In this way, each Soul progresses from lifetime to lifetime with those of similar maturity, moving through the many stages of the soul, to eventually take its place as a fully realized human being. And just as we are given various examinations in the stages of school, so too, does the Soul face tests appropriate to its level of evolution. All this leads to the eventual knowledge of our eternal Selves. Many wisdom traditions have chosen various symbols to represent the essence of the Soul. For some the Soul or life force of Spirit was associated with the power of the breath. The English verb to animate, which means “to move or bring to life,” is derived from the Latin word animus, from the Greek anemos, meaning “wind.” Similarly, in Greece, the word for spirit derives from the verb psuchein, a word that means “to breathe.” In Hebrew the word for Spirit is ruah, meaning “wind,” as in “the Spirit of God moved upon the face of the waters” (Genesis 1:2). The waters are the premanifested space known in Greek as Okeanos, the “Mother Substance” or Prima Materia. In Sanskrit the Narayana, “The Mover upon Spirit upon the Waters of the Great Deep” and in Christianity the Holy Spirit, the “breath of God,” represent the carrier wave upon which the Spirit of Life travels. Chinese sages taught this same powerful connection with the word ch’i. The ch’i is the animating life force of God Itself, equivalent to the words prana and qi in Indian and Japanese 5 culture. This life force has two complementary expressions--a yang and a yin polarity, equating to the masculine or expanding currents and the feminine or contracting currents. In order to stay alive we must all breathe in and out each day, reenacting the endless Circle of Life with every breath. When a person stops breathing, they die, since it is the breath that animates the physical body. Thus the breath is the living Spirit of the Divine that animates the Cosmos. Some philosophers or mystics have thought of the Soul as a single drop of water in the vastness of a great Cosmic Ocean--each drop unique, yet each a part of the same essential Source. This Source is the Cosmic Ocean, the Plenum of Infinite Intelligence that is sometimes referred to as the Waters of Life, the Divine Mother, the Sacred Womb, or the unknowable Ain of Hebrew wisdom. This is the Eternal Ocean of Love and Mercy from which all things are born and from which we, as shining drops of consciousness, are released into the worlds of form. Sages have also taught that the Soul is a living flame, a spark born from the Great Central Sun. Just as our visible sun is the source of illumination in our world, so is the Great Central Sun the Light of Divine Consciousness that is hidden behind the visible universe. This is the pure white fire of our true being, our Angelic Self that lies hidden behind everything else that we appear to be. Hence the Soul is an individual spark that becomes a flame, and is eventually reunited to the Supreme Fire. This energy is fueled by the trifold flame of the heart, a flame that consists of the blue energies of the Divine Father, the rose energies of the Divine Mother, and the merger of the two, which produces the violet or gold flame of our own being.